A Texas city commissioner who used a racial slur to describe two African-American prosecutors resigned on Friday. 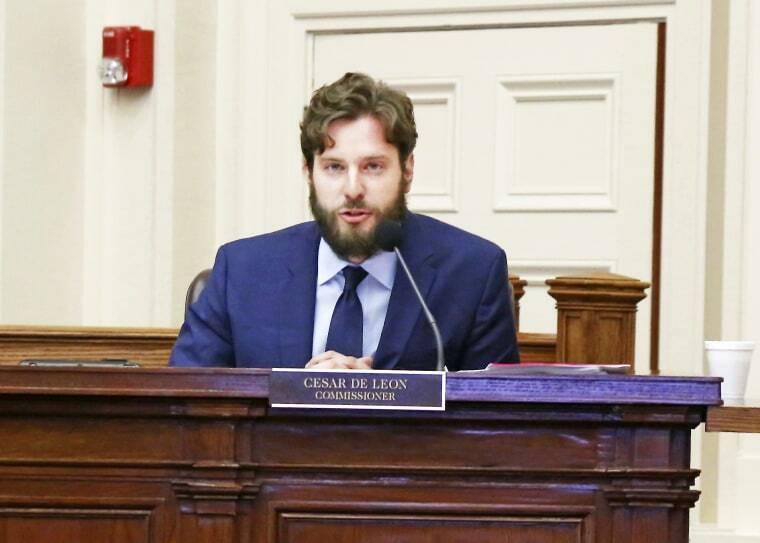 Brownsville city commissioner at-large Cesar De Leon in a letter thanked his staff, Mayor Tony Martinez, and the City Commission, saying it has been "an honor to serve the people of Brownsville and to represent our community." De Leon did not mention the remarks in the letter announcing his resignation, although he has in the past apologized but said he would not step down. "I was informed of a conflict of interest between my legal practice and the city Brownsville. I have decided to continue with my profession," the letter reads. De Leon’s resignation comes nearly three weeks after a recording of De Leon using the n-word and f-word to describe the prosecutors was posted on social media. After receiving backlash from city officials and members of the community, he publicly apologized for the remarks in a city hall meeting Tuesday night. He said he made a "terrible mistake," but that he wouldn’t resign. Veronica Sanders, one of Brownsville assistant district attorneys De Leon mentioned in the recording said she is relieved that De Leon resigned and can now move forward. "When a person is in his position, it is their job to represent the city and the last thing to do is call people names," Sanders told NBC News Friday. "He put on one face in public and another in private." In an apology letter to Sanders in September, De Leon said that in a moment of frustration he wasn’t thinking about his words. “Hopefully one day I will be able to right my wrong," read the letter, a copy of which was seen by NBC News. De Leon was elected in May 2015 and his term would have expired May 2019.